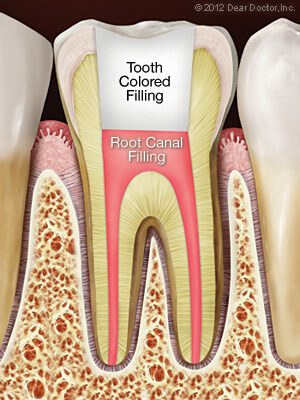 If you are suffering from an aching tooth, you may have a root canal infection. How do you get a root canal infection? 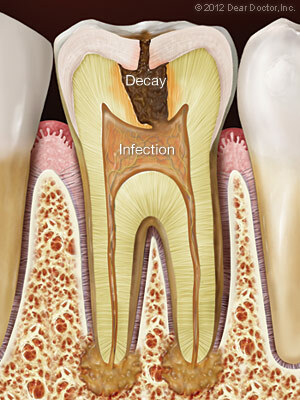 If you have a tooth damaged by decay, trauma, or gum disease, bacteria can gain access to the interior of the tooth. At Hill Davis Dental Group in Lubbock, we can give you relief from your discomfort and return health to your tooth. At our office, Dr. Jimmy Hill and Dr. Camie Davis can alleviate your toothache with root canal therapy, also commonly known as a root canal. At Hill Davis Dental Group, we will ensure your comfort while you’re prepared for your root canal in our state-of-the-art treatment room. If you're experiencing severe tooth pain, the experts at Hill-Davis Dental Group can alleviate your pain. Call (806) 793-0651 to schedule an appointment in our Lubbock, TX office today!